Any business hoping to compete effectively in 2018 is undoubtedly aware of the benefits of maintaining an active presence on popular social media, such as Instagram. 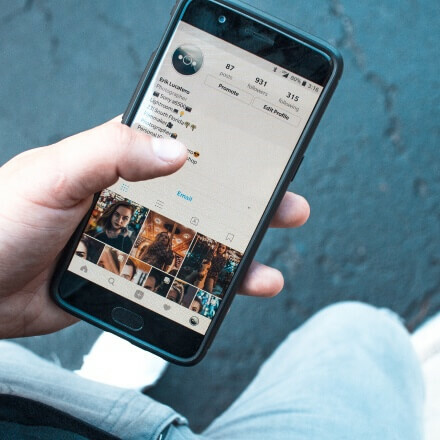 With over 500 million daily active users, Instagram has grown to become one of the most popular social media platforms among businesses looking to interact with potential customers and fans. Yet doing so successfully has become more of a challenge in recent years, as Instagram looks to protect users from repetitive ‘spam’ content while simultaneously optimizing their news feeds; filtering out any irrelevant content. This has resulted in the need for businesses to adopt a targeted approach to marketing on Instagram, through the creation of meaningful content and careful distribution to a specific online target market. With over 500 million daily active users, Instagram has grown to become one of the pre-eminent social media platforms of the 21st century. Despite the challenges, it is still possible to grow your Instagram followers organically without resorting to purchasing ‘followers’ (which often turn out to be little more than a shell of an account.) Savvy business owners have derived a unique formula to gaining targeted followers doing little more than liking specific posts, using specific hashtags, commenting on specific posts, or following certain accounts. The right combination of these actions can lead to substantial exposure for your company amongst a highly-targeted group of potential fans and/or customers. It’s simple really. The goal with this approach is to search for accounts that might be interested in your content and make them aware of your profile. Thus, the first step is to conduct a targeted search for Instagram posts and profiles by using keywords related to your business. For example, if you are running a digital marketing agency, you might search “digital marketing” or “seo” to generate a list of targeted profiles and posts with which you can engage. Next, you engage with those profiles and posts that you believe may be interested in your content. This engagement can take the form of following certain profiles, commenting on certain posts, and/or liking certain content. Instagram allows users to search for keyword-related content easily through the search bar. The goal here is to engage with as many targeted ‘potential followers’ as possible, by liking/commenting on their content and following their accounts. In turn, these potential followers will receive a notification leading them to your profile, where there is a likely chance they will engage with your content or choose to follow your profile. Voila! Does this strategy work? Unfortunately, Instagram marketing statistics remain relatively broad, and there is no official measure of the success of this strategy. Empirical evidence would suggest that this strategy has proven very successful for many businesses out there. This is largely due to the fact that Instagram users are the most-likely to engage with a company’s content of all major social media platforms (Twitter, Facebook, LinkedIn, Google+, etc.) As a result, Instagram users are generally more receptive to when a new company or organizational profile engages with their content and are most likely to follow-back. A study by Forrester Research highlighting the user interaction with brands as a of total fans or followers, on the various major social media platforms. The aforementioned strategy to growing Instagram followers only works if you are willing (and have the time) to manually search and sort through the mass of Instagram content in order to engage with that related to your company or organization. Naturally, this can be extremely time consuming. Not every account you engage with through this strategy is going to engage back with you, and thus in order to succeed you must engage with more Instagram profiles than you can expect to re-engage with you. One way to implement this strategy on a large scale is to utilize an Instagram Auto-pilot platform, which allows you to input certain criteria about your target market, and which will engage with relevant Instagram users on your behalf. Many new services have popped up in recent years which allow companies to partially, or fully automate their Instagram accounts. Whether engaging with fan comments on your content or engaging with new content to try and build up your account following; there is likely an Auto-pilot service that exists to meet your specific needs. These platforms generally use machine learning or manual outreach to engage with members of your target audience by liking, commenting on or following specific pieces of content or accounts. The hope is that this engagement will encourage some percentage of people to follow your profile in return, as per the strategy mentioned above. How Does Instagram Auto-pilot Work? The goal of Auto-pilot is to save you the time of manually developing a list of keywords, searching and filtering through Instagram content, and engaging with that most likely to generate return interest in your account. These Auto-pilot platforms are able to do so by utilizing machine learning and artificial intelligence to sift through a mammoth amount of Instagram content, finding only the content that is most relevant to your company or brand. The platform also has the intelligence to automatically ‘like’ certain posts, or follow certain accounts, depending on the initial criteria you input into the system. Thus, the engagement is continuous, which is critical in building a lasting online presence for your company. Some of these Auto-pilot platforms are also able to post comments on certain content, even if it is from an account which you do not already follow. This is particularly advantageous, as studies have shown that a user is much more likely to interact with you account if you leave a personal comment on, rather than simply like, their content. Machine learning has also facilitated the ability of some of these Instagram Auto-pilot platforms to automatically reply to comments on your posts, based off an analysis of certain keywords in the content. All of these features are paramount to the business owner looking to grow their Instagram followers continuously, but that don’t have the time or resources to dedicate to managing their social media efforts full-time. Should You Use Instagram Auto-pilot? The answer to this question really depends on your goals as a company or organization. The nature of the Instagram algorithm means that your content is exposed to a vastly larger number of people once a few thousand people follow your account. Thus, for those companies looking to build an online presence on Instagram, it is most important to build a following when you are beneath this threshold. This is where Auto-pilot can add the most value, in gaining a steady inflow of new Instagram followers. That isn’t to say there aren’t any benefits to using Auto-pilot if you already have an established Instagram following. It is equally important (and difficult) to maintain an Instagram following as it is to establish one in the first place. You must continuously interact with fans on your posts, ensure fresh content is regularly distributed, and continuously seek out new accounts and potential customers. Auto-pilot can help with all of this as well, and as a result we see many established brands using these platforms to ensure they don’t fall behind their competition in terms of online presence.